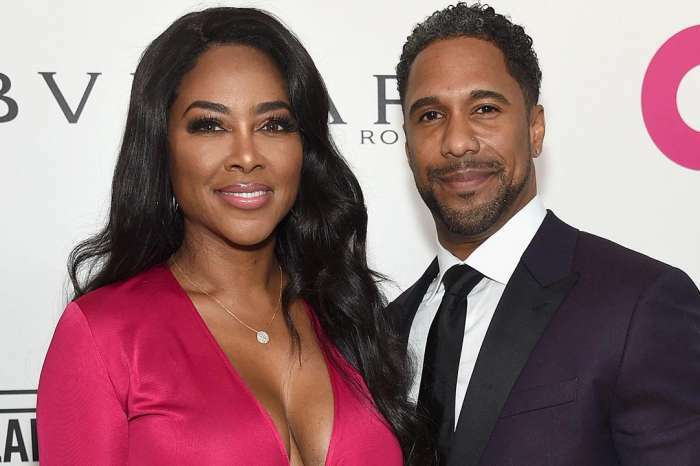 Kenya Moore dropped a major hint on the gender of the baby she is carrying, according to fans with good eyes. According to several reliable reports that surfaced online last week, Kenya dropped the bombshell that she is indeed pregnant with her first child during the Real Housewives of Atlanta reunion where her husband, Marc Daly, was present. A staff member of Bravo said the former beauty queen sat far away from the other ladies who have been questioning the authenticity of her marriage. Andy Cohen grilled her about the rumors that she was seen on the beautiful island of Barbados at a fertility clinic with Marc. The Love B Scott website stated that Kenya’s due date is later this year and she plans to announce the news soon. The RHOA star has attended several red carpet events with Daly and fans noticed that she is always wearing pink. The pink and fuschia dresses have fans thinking that Kenya is having a girl and they are happy that she is going to welcome a princess into the world. In a matter of days, Kenya and Marc will spill the tea on the baby story.